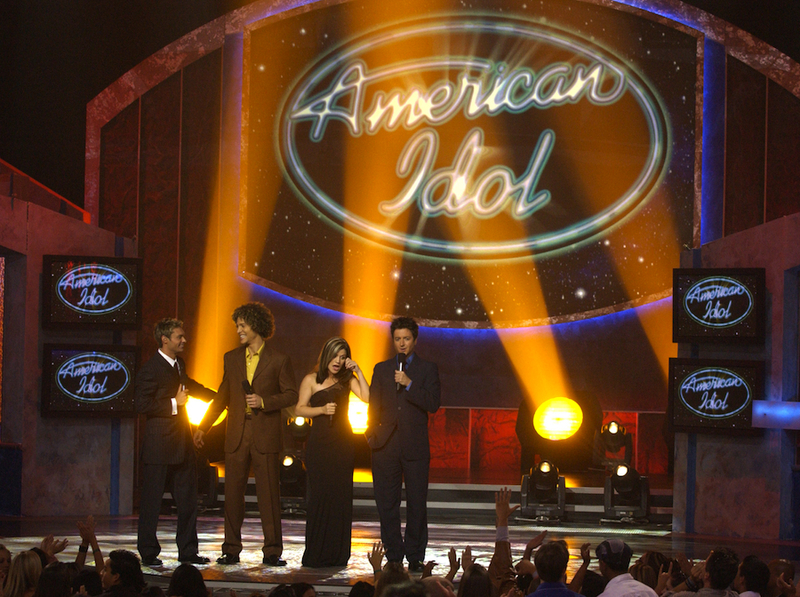 The Return of "American Idol": 5 Highlights From The Show's History! After a nearly two-year hiatus, "American Idol" returns to the air this Sunday, March 11, and the 16th season of the beloved singing competition show is getting a facelift. Now airing on ABC, it will have a set with a more intimate atmosphere and feature a balcony level for audiences -- It may remind you of a House of Blues gig. Rather than being front and center, the judges table will be more off to the side on the second floor balcony, but we're sure judges Katy Perry, Luke Bryan, and Lionel Richie will make their presence known no matter where they're seated! To get you psyched for the long-awaited return of the now-iconic TV series, here are 5 of the most memorable "American Idol" moments (so far)! Many judges have come and gone during "Idol"'s 15 seasons, but Ryan Seacrest has always been a familiar face on the series. What many don't remember is that Seacrest shared the stage with a co-host during Season 1. Comedian Brian Dunkleman was not destined for the same stardom that awaited Seacrest, and he walked away from the show after the first season to pursue acting. She's now a multi-platinum recording artist, but in 2005, Carrie Underwood was a simple country girl who helped out her father on his Oklahoma farm. "American Idol" was not only her golden ticket to Hollywood, it was also a chance to be on a plane for the first time! The 15 seasons of "American Idol" proved that Simon Cowell doesn't exactly hand out compliments like candy. 8 seasons into the series, Adam Lambert was one contestant who managed to bring Cowell to his feet during his redefinition of "Mad World". The "American Idol" audition process can be a guessing game. Viewers never know if they'll be wowed by an unknown talent or break out in laughter. William Huang auditioned for the show way back in 2004, but it remains one of the show's most memorable. He may not have made it to Hollywood, but his hilarious performance of "She Bangs" lives on forever on the Internet. Kelly Clarkson skyrocketed to fame after becoming the very first American Idol in 2002. The Texas beauty faced off with Justin Guarini for the coveted title. After Seacrest crowned her the winner, she appropriately sang the tearjerker "A Moment Like This" and the rest was music (and "AI" history)! Be sure to catch the premiere of "American Idol" Seasin 16 on March 11 at 8pm on ABC to see what sorts of new moments will go down in "AI" history!